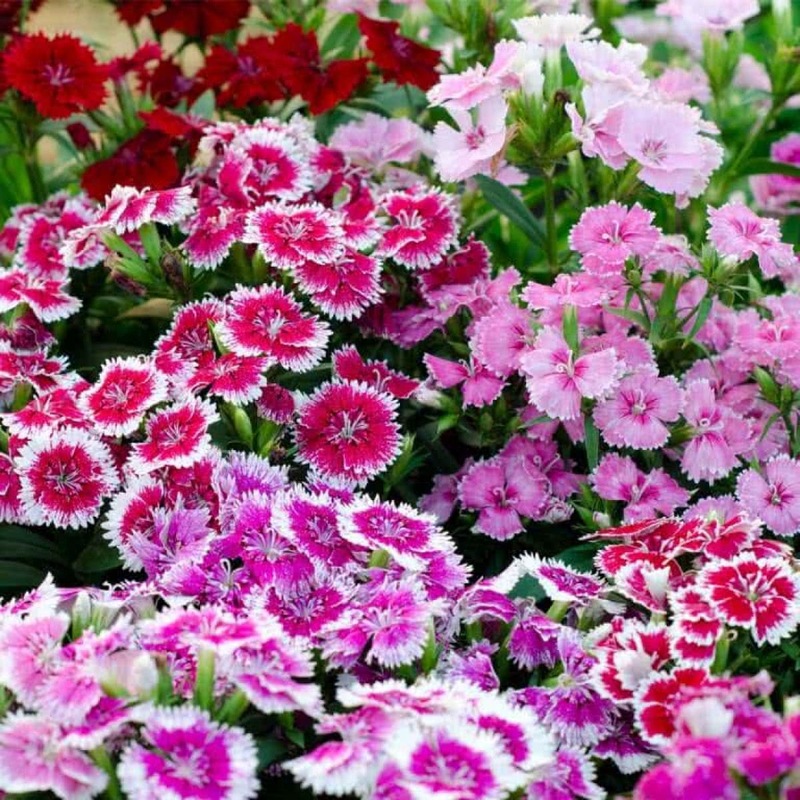 Dianthus are grown in full sun and well-drained soil preferably with neutral to alkaline soil pH. They cannot withstand wet soils, especially in winter. Introduction and Uses: These are erect plants and bear brightly colored scented flowers. The flowers are exquisitely marked, edged or blotched. Some of them have beautifully fringed petals. The flower color ranges from white to red, scarlet, pink, etc. Dianthus plants are useful for flowerbeds, borders, rock garden, edging and even in pots. Dianthus is an excellent cut flower for various floral arrangements. Dianthus is grown by transplantation method. In India, seeds are sown during September-October for winter flowering. Seeds can be planted in June-September for early flowering. Immediately after sowing the seeds, watering should be done carefully with a fine rose-can. Transplantation of seedlings is done in pots or flowerbeds after about a month. Transplant the seedlings are in pots or flower beds after about a month. Planting Distance: 15-20 cm apart on flowerbeds. For pot growing, 25 cm pots can be used. Watering: Dianthus on the ground is watered twice a week, and potted ones are watered every alternate day. Plant care: Spray appropriate medicines if there are signs of an infestation. Click here to buy plant care products online in India. Bloom time: Dianthus takes about 3.5 months to flower. 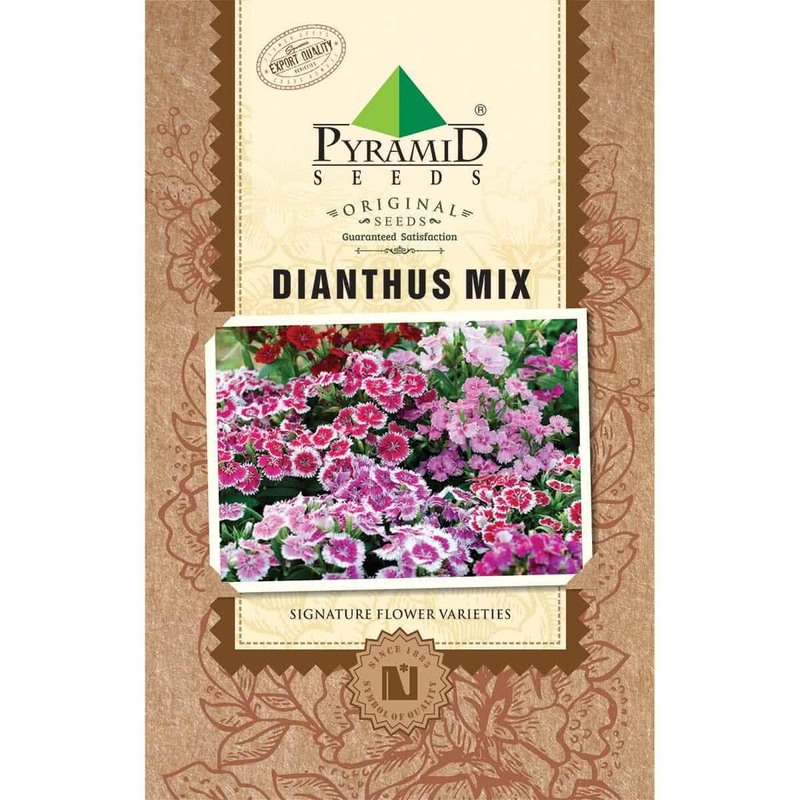 Buy variety of flower seeds online.